B-java: When you are in D.C. Visit Nick for me! When you are in D.C. Visit Nick for me! Chinatown Coffee is my friend Nick Cho's place. 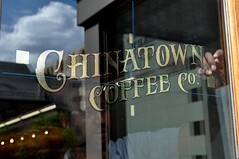 If you are in DC, please stop in for some of the best coffee in town!